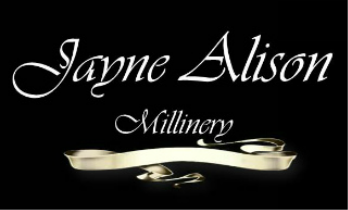 Jayne Alison Millinery offers a couture collection of hats, headpieces and fascinators to suit everyone, from the slightly outrageous to simple and elegant. Stunning, bespoke designs to make you stand apart from the crowd. Whatever the occasion, Royal Ascot, Mother of the Bride and Groom, Ladies Day, Investitures, Garden Parties, her innovative and individual creations will turn heads. All hats and fascinators are hand blocked, using only high quality materials; typically, sinamay, crin, velvet, straw or felt and lovingly embellished with silk, feathers, pearls, crystals or any other materials required. Due to the intricacy of many headpieces, they can take many days, even weeks to create but the end result is worth it. Every piece is unique and no design is ever exactly repeated. Changes of colour, fabrics and trimmings all go to ensuring each hat/headpiece is different. Jayne makes all her creations entirely by hand, using traditional millinery techniques, ensuring quality and attention to detail. Because of this, you have complete confidence that your creation will not be seen on another head! Current collections can be purchased ready-to-wear from the millinery shop. I also offer a bespoke millinery service to ensure your headpiece is the perfect match for your outfit. Thank you for visiting my site - enjoy. this Website for full details & information.